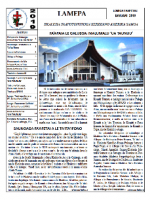 The CCCAS Lamepa Department produces and publishes the official newsletter of the CCCAS, whose name this department is named after, the “Lamepa.” In English, Lamepa is the Samoan word for “lamp.” As in the words of the Psalmist in Psalm 119, a lamp is used to light ones path to see where they are going. In similar fashion, the CCCAS newsletter, aptly named Lamepa, seeks to enlighten the path of the CCCAS going forward by informing members of the work of the Central Office and all of the latest happenings around the CCCAS. The Lamepa is published bi-monthly. But there are special cases when a monthly edition is published. The Lamepa Department is also responsible for producing and publishing the “Tusi Faitau Aso EFKAS,” the daily lectionary of the CCCAS, created to assist member congregations in their worship services, and to assist CCCAS members with their family prayer gatherings. 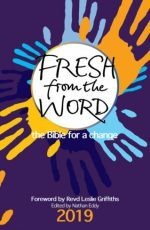 In producing the Tusi Faitau Aso EFKAS, the Lamepa Department works in conjunction with the IBRA and its publication, Fresh from the Word – a set of 365 reflective notes for every day of the year, that includes prayers and suggestions for action on biblical themes. These notes are written by over 50 creative theologians and inspirational biblical scholars from around the world. Since Fresh from the Word is written and published in English, in producing the Tusi Faitau Aso EFKAS, the Lamepa Department is tasked with translating it into Samoan. In honoring the work of all those theologians and biblical scholars who contributed to Fresh from the Word, as well as observing the translation and publication rights set forth by the IBRA, the Lamepa Department puts in a lot of work in translating the daily notes from English to Samoan. Through a lengthy editorial process, the final product is verified by both the Chief Editor of the Lamepa Depratment and the CCCAS General Secretary before it goes to final publication. 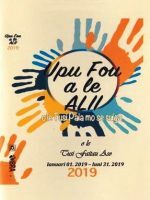 The current Tusi Faitau Aso EFKAS for 2019 is published in 2 segments: January-June 2019 and July-December 2019. The January-June 2019 segment is now available and can be downloaded from this website. The July-December 2019 segment will be made available at the beginning of the month of June 2019. Besides CCCAS member congregations, there are other Samoan congregations not affiliated with the CCCAS who have requested the use of the Tusi Faitau Aso EFKAS. In the spirit of ecumenism and Christian sharing, this is one of the reasons why the Tusi Faitau Aso EFKAS has been made available online for downloading. Comments/Questions/Suggestions for the Lamepa Department?